Ooh, this sounds like a fun one. 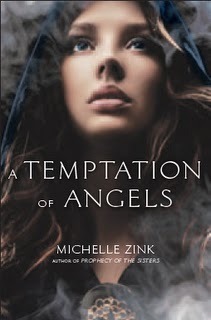 I haven't read an angel book that's worked for me yet so maybe this could be the one! This sounds fabulous. I'm a huge fan of Prophecy of the Sisters, so I'm definitely going to check this out. Great pick!